Perhaps nostalgic for 2003, when Master And Commander and Pirates Of the Caribbean briefly made seafaring all the rage, Tom Hardy and Ridley Scott are teaming up to tell the tale of a rogue adventurer taking on the East India Company in the early 1800s. They’re collaborating on the eight-part BBC miniseries Taboo, which seeks to do for international trade what Downton Abbey did for rich people living in manor houses. In addition to executive producing the series with Scott, Hardy also created the story with the help of his father, Chip. 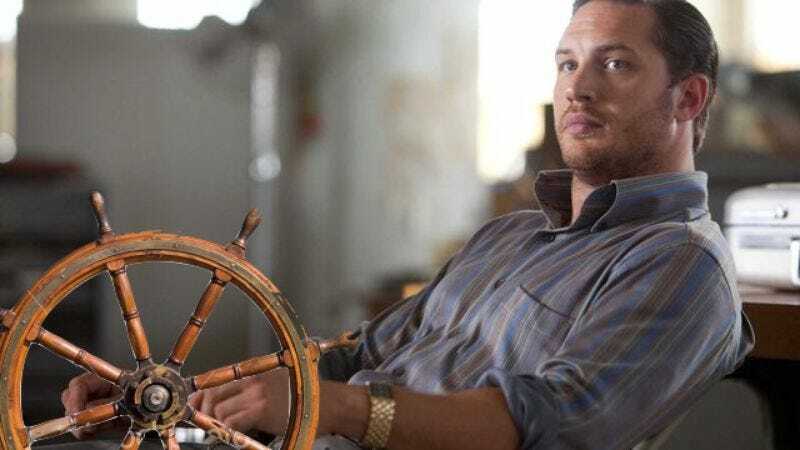 The elder Hardy boy will serve as a consulting producer, while Tom Hardy will star as the show’s central figure, James Keziah Delaney. According to the plot description, James returns from Africa with ill-gotten diamonds, seeks revenge for his dead father, refuses to do business with the East India Company, then creates his own trade empire. Oh, and there’s some conflict between England and America thrown in for good measure. The show’s creators are not shy about setting the bar high for their new drama. According to Variety, Hardy promised, “We’re creating a flagship British drama for this generation.” Screenwriter Steven Knight, meanwhile, was quick to make the project seem relevant to a modern audience. He explained that during the 19th century, the East India Company was “the equivalent of the CIA, the NSA and the biggest, baddest multi-national corporation on earth, all rolled into one self righteous, religiously motivated monolith.” So, think of this one as Homeland Of The Seas, with less counterterrorism and more waistcoats.